ABC's dead pilot "Football Wives" (US adaptation of the British soap hit "Footballers' Wives") starring James Van Der Beek, Lucy Lawless and Eddie Cibrian may not necessarily be that dead after all. I am of course very excited about this, because - from what I heard - although the pilot did not seem set to win any awards, it did feel like an old-fashioned trashy "Melrose Place"-style campy fun. And as you can imagine - I was a sucker for "Melrose Place". Well, in seasons 2-5 anyway. 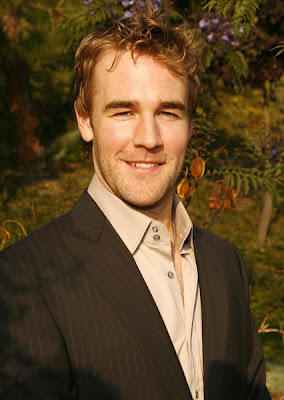 Besides, how can you go wrong with the double hunk power of James Van Der Beek and Eddie "The Dimples" Cibrian? Despite its initial buzz mainly generated by those who were familiar with the British original, ABC decided not to pick up the pilot and make it one of its 11 new fall shows next TV season. Now Hollywood press reports ABC Studios, which produced the pilot, has extended its options on the show's cast that also includes Gabrielle Union ("Night Stalker"), Kiele Sanchez ("Lost"), Arielle Kebbel ("Gilmore Girls") and Ving Rhames ("Mission: Impossible III"). The pilot was directed by Bryan Singer ("Superman Returns"). ABC has not made its final decision about the show which could end up on the network as midseason replacement, but even if it does pass on it, Hollywood Reporter claims NBC and FOX are interested in picking it up. Fingers crossed! Do you think this will work Justin? I would love a campy Dynasty style show to watch, but not sure if it will work, without an "edge". Wouldn't it be cool if they brought on Rodrigo Santoro to couple off with Kiele Sanchez...it would be hilarious...Nikki and Paulo back together again! Roland, you're genius! He would play a Brazilian Wolfgang Puck who seduces Kiele, the NFL football wife. God, Titans was a total blunder and a half. What a horrible soap, and Yasmine Bleeth ruined her life because she made the wrong decision. LoL. Such a loser. Rodrigo would be great in this show. I wonder if FW ever does take off, will it also go through the homosexual route in its 3rd season like the UK version?